TORONTO - Nearly a third of retired Canadians, or 30 per cent, have returned to work and a major reason is that they misjudged how much their expected life of ease would cost. Two new online surveys from ING Direct found that the divide between how much people saved, and how much they actually needed, was too wide to handle without a paycheque. About 48 per cent of respondents in one survey who had returned to work cited financial concerns as the reason they took another job. And, of these, 31 per cent had returned to work full time. Another online survey found that 33 per cent of respondents who went back to work said they hadn't saved enough money for retirement, while 31 per cent said they faced higher living costs than expected. The surveys portray a notable disconnect between Canadians' expectations of life after the workforce and the reality of the cost. ING Direct said that respondents wished they had found more ways to save for retirement, that they had started saving earlier and hadn't "spent money so mindlessly." "The reality of retirement for many Canadians is a sobering reminder that you can't put your financial future on the back burner," ING Direct president and CEO Peter Aceto said in a release. 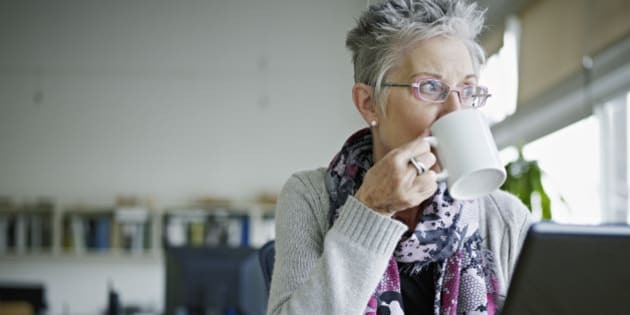 "Among the many other financial priorities we face during our prime working years, we need to make sure that retirement planning doesn't get overlooked." Both of the online surveys were conducted with about 1,000 Canadian adults who were at least 55 years old and Angus Reid Forum panellists.